Odyssey's web-based platform streamlines the work flow for building and financing mini-grid projects, seamlessly connecting all stakeholders in the energy access sector. 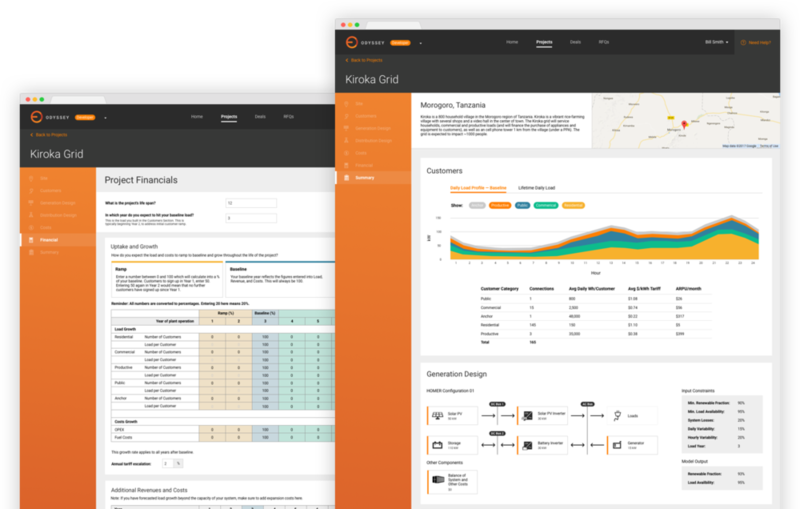 Odyssey’s comprehensive tool suite helps project developers design, build, and operate rigorous and data-driven mini-grids — and directly connect with investors and suppliers. Odyssey's analytics engine pulls in data across sites to generate standardized, intelligent financial analytics, replacing time-consuming and error-prone manual analysis.